Elevated Northern Italian food -- fresh, hand-made pasta; hearth bread; rich, amazing coffee. Our vision for our restaurant has always been a place where fresh ingredients, quality baked goods, and a talented chef can come together to make something special in our little town. Mornings will feature fresh baked goods, including breads, real bagels, and pastries. We will also have a full range of coffee drinks at the bar to enjoy in the restaurant or to take home with you. Weekend brunch will have an expanded breakfast menu full of fresh ingredients from our farm and bakery. Join us for lunch and enjoy Italian-inspired sandwiches, flatbreads, and salads. It's the perfect setting for a quick business meeting or a place to relax away from the office. Thursday through Saturday we'll shift gears at 3:00 to create a sophisticated setting for drinks and dinner after work. 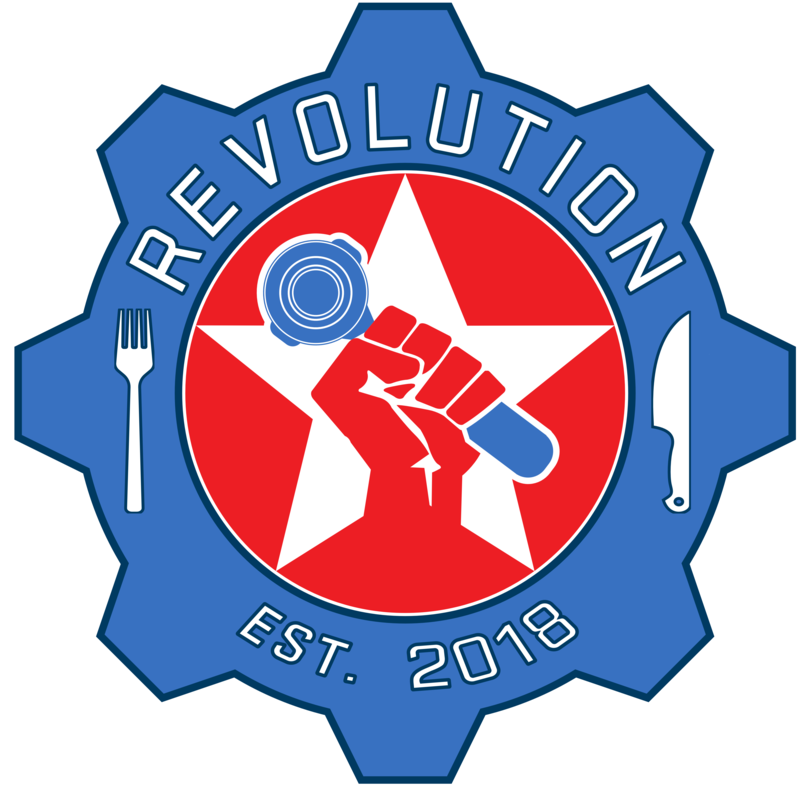 Revolution's menu will feature classic and reinvented New Italian dishes that feature fresh housemade ingredients and pasta. 60 carefully selected wines were chosen to suit every budget and taste. The wine list, which will be refreshed regularly, will consist of Italian varietals and eclectic selections from vineyards around the world. We will have local craft brews and nitro and cold brew coffee on tap. The curated cocktail list will be focused and updated frequently. We use only the finest ingredients in mixed drinks--Housemade bitters, syrups, and sodas. All fresh juices. Enjoy the best coffee for any event.